A long time ago in a galaxy far, far away, there could be heard the strange haunting echo’s of what sounded like clicking needles and it wasn’t until the most sophisticated instrumentation detected the tremors, which once decoded and pieced together formed actual words that required no further translation. Those words? 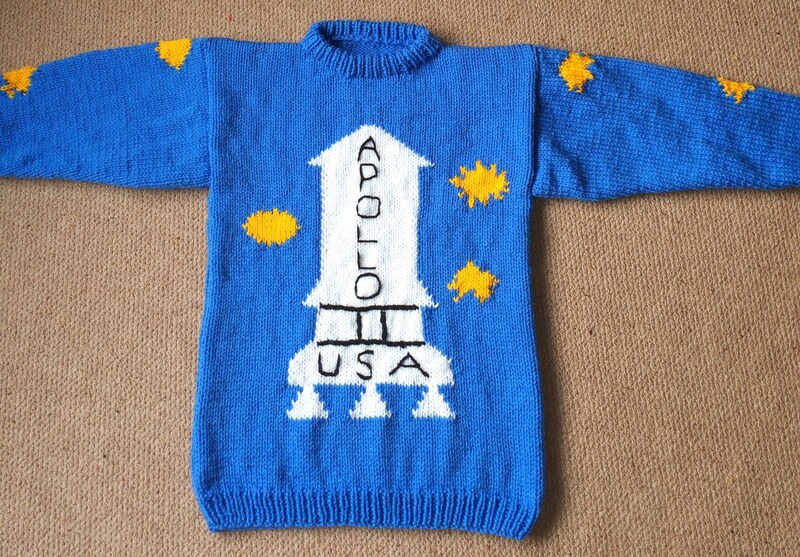 And so the countdown began, mankind’s struggle to kit out the people with woolly jumpers fit for outer space. Here’s a great little project for a spacey client. We can’t quite work out if it was a tribute to the space race or a very Kubrickian salute to the very powerful and evocative movie, The Shining. Film buffs around the world may know the reference. If not then when you watch this flick, make sure you’ve got one of our extra thick jumpers to hide behind. 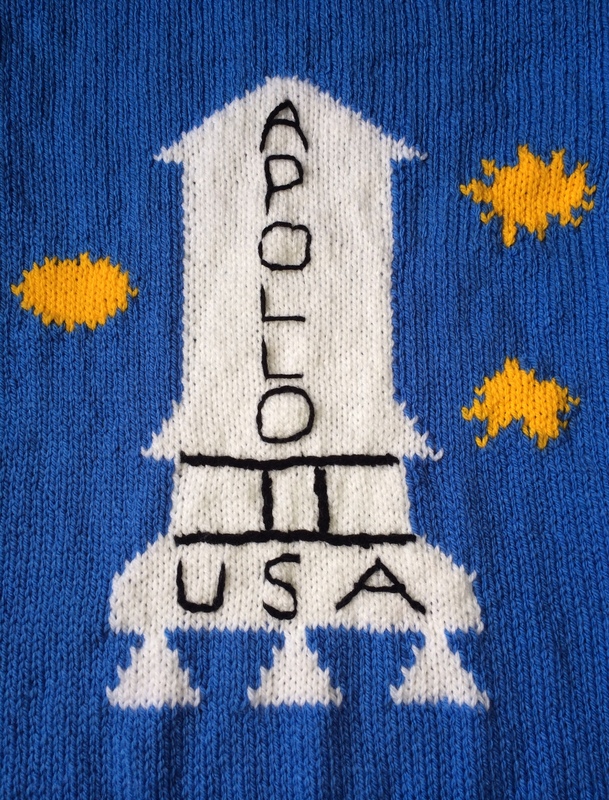 If you want handcrafted apparel that is “out of this world” then you could do worse than click here http://www.bexknitwear.com and hop on our website and sniff out a bargain from our range of hand knitted jumpers or be inspired to come up with the perfect design for you or your bestest (real word) loved one. Don’t forget, now it’s even easier to make a gift of one of our unique jumpers by using the gift voucher option. Let us know what you think of us and what we can do to improve our relationship with you dear reader and enthusiast. In the meantime, boldly go in peace.